» The community is entering the last days of its summer holiday period. Many of the brethren have take the chance to spend some days away. Fr Edmund has been with us for some of the time as well. The holiday period has allowed for the guesthouse to have a more thorough and deeper clean, and some refurbishment work has been done in the bursar's office. Last weekend Fr Abbot was in his home town of Birtley to preach at the celebratory Mass for the 75th anniversary of the church there. Birtley used to be a Douai parish. 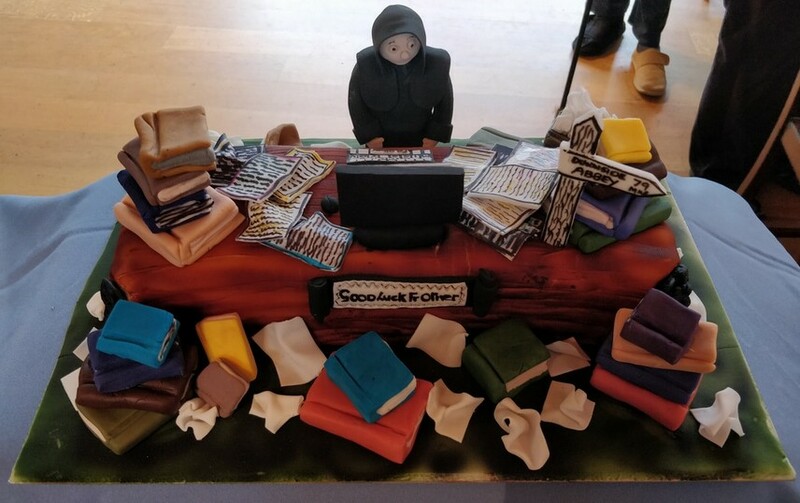 Last Monday Frs Finbar and Peter went to Ealing Abbey for the funeral of Fr Vincent Cooper OSB. 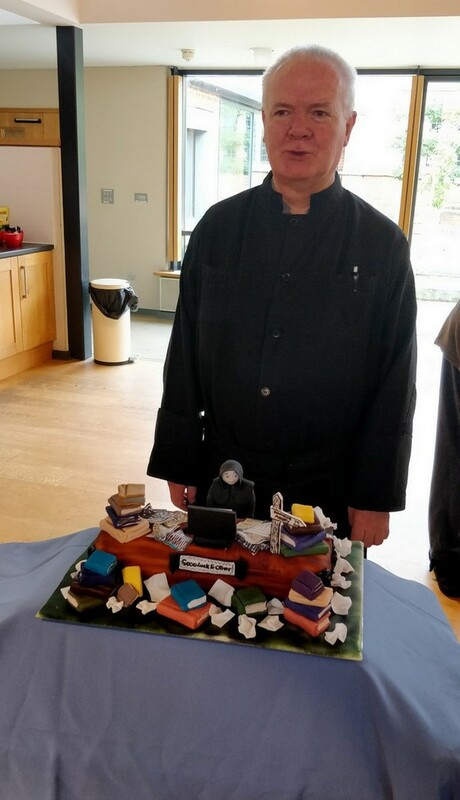 » Yesterday the staff held a morning tea to farewell Fr Oliver, who is completing 13 years busy and successsful years as bursar. 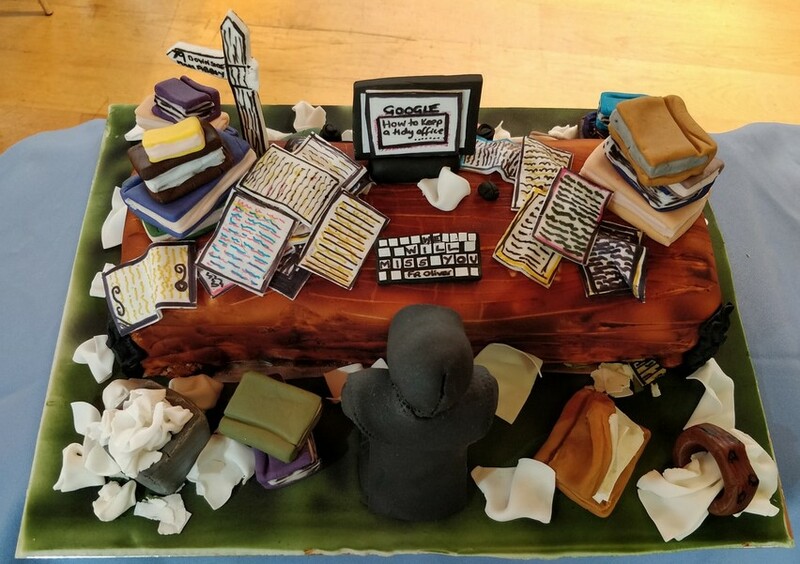 A specatular cake was made by our catering manager, Sarah, which somewhat cheekily yet accurately captured the flavour of the bursar's office in recent times. 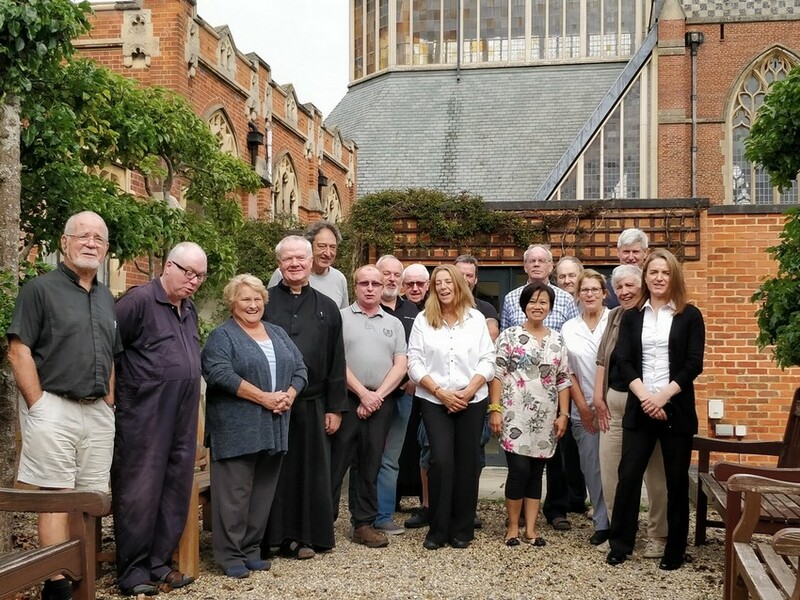 On 1 September Fr Oliver will move to Downside Abbey for a year in order to assist the new prior administrator there and to advise on plans to reconfigure some of Downside's monastic buildings. On this coming Sunday Fr Hugh will take over as bursar. » Also on Sunday the community will begin its annual retreat. Our retreat master this year is Dom Michael Kelly, an Australian monk who is abbot general of the Sylvestrine congregation of Benedictines. During the retreat we ask that you respect our need for silence and peace and restrict your calls or visits to what is essential. Needless to say, all remain welcome at office and Mass.